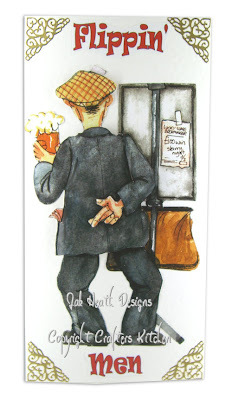 Flippin' Bookies is one of the decoupage sheets that is close to my heart, it was designed shortly before I lost my Dad he was renowned to have a little flutter on the horses an the bookies odds board you can see the first runner is Jacks Lad. I had bets on that I could get 2 cards from this sheet. 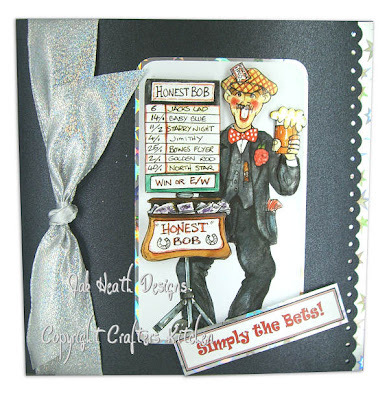 This is the reverse image of Flippin' Bookies I made this one up on a DL card I used the title on the Decoupage sheet as embellishment words. Flippin' Snooker, this decoupage was added to a gate fold card, and the sentiment was added to the opposite side of the gate fold. Just a few peel off corners and borders to embellish. I added the flip side of the image to the inside of the card, you can see from the shot I added a side spine to the card as I don't want the decoupage to be crushed. 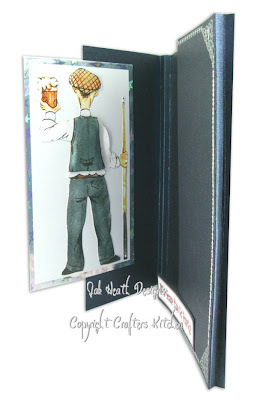 If you are stuck for a verse to add to your Flippin' Men cards it could be well worth your while popping over to Jon's blog as he has made up some verses for you to use. Hello Jak. Love these Flipping men. Some thing else to my want list. Those are good, do they do flippin Women too? MIL is into racing. Both great Jak never thought to use the reverse pic on its own but it works for a card too. Just done my first one for my brother . so looking for all the inspiration i can get until then and these certainly fit the bill, clever girl! 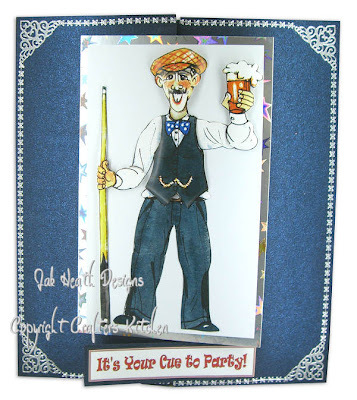 Great cards Jak, love the fun element to them they are great! Great cards, Jak. Cards for men are so hard to think up, but you have given us loads of ideas with this smashing set of decoupage sheets. Thanks.